As it’s now officially the coldest month of the year all I really want to eat is warming bowls of stews, soups and daal’s (and curl up in bed with netflix). I often make extra portions and store them in airtight containers in the fridge for on-the-go lunches or dinner when I get back home late. I used to do a a different version of the daal, but recently discovered that by cooking them in coconut milk it because so much richer and creamier. I love adding some goats yoghurt on top, but if you are vegan you can replace this with coconut yoghurt. I also love adding sliced avocado to add some freshness as well as sprinkle it with child flakes for some extra spice. Add all of the ingredients into a pot and bring to the boil. As soon it boils, reduce the heat, cover it and leave it to simmer for about 30 minutes stirring every once in a while so they don’t stick to the bottom. 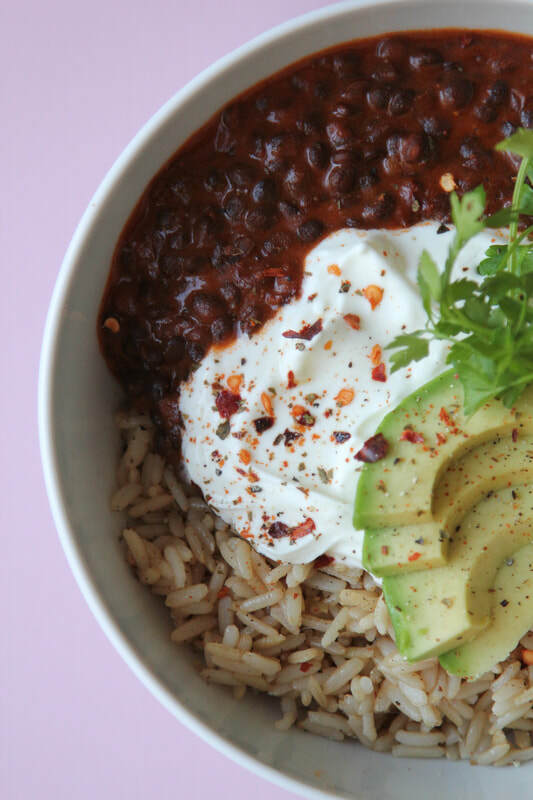 Once your daal is almost done start cooking the rice and place everything together in a bowl, top it with yoghurt, avocado slice and sprinkle with chilli flakes.